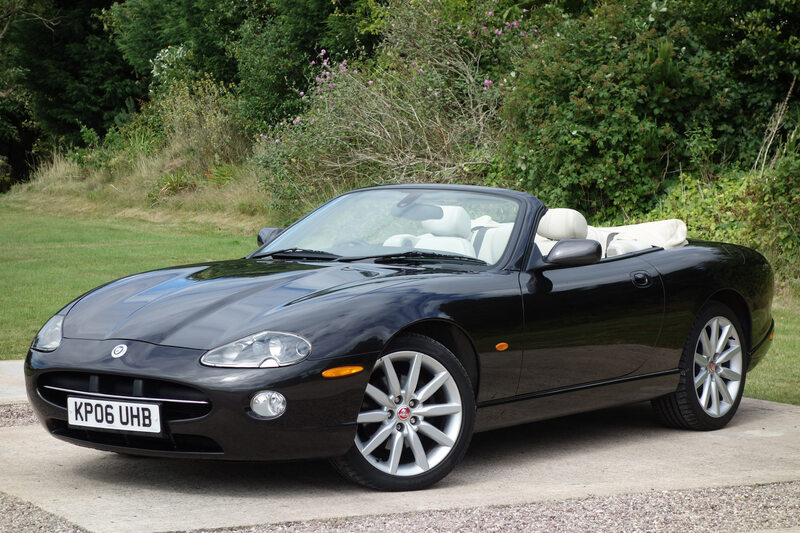 Lovely XK8 Convertible 4.2-S Final Edition, Jaguar Service History Last At 80,000 Miles, Proper Final Edition 4.2-S With All Correct Specification. Finished In One Of The Four Specific Colours Made Available For Editions, Beautiful Copper Black Metallic With Contrasting Full Ivory Soft Grain Leather, Twin Edition Stitching In Black, Elm Edition Fascia & Chrome Trim, Chequered Flag Edition Stainless Tread Plates & Bonnet Badge, Black Hood, Blue-tooth Connectivity, Electric Steering Column + Multi-Function For Audio, Cruise & Telephone, Full Rouched Ivory Leather Interior, Jaguar Edition Tread Plates, Driver & Passenger 12 Way Electric Heated Performance Seats + Memory, Climate Control & Air Conditioning, Electric Heated Power Fold Back Mirrors, Electro-chromic Rear View Mirror, Cruise Control & Speed Limiter, Alpine Premium Sound, Upgraded Jaguar “R” Performance Cross Drilled Brembo Brakes, Reverse Park Assist, 19″ Atlas Edition Alloys, Xenon Headlights With Wash, Heated Front Screen, Aluminium Instrument Pack, Sports Leather Steering Wheel, CD Multi-player, Cup Holder, Hood Cover, Alloy Space Saver Spare Wheel. 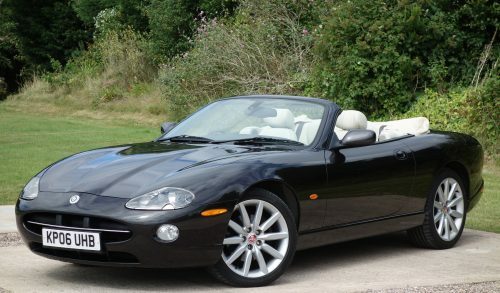 All Jaguar Stamps In The Book & Last Serviced By Jaguar At 80,000 Miles, Then Appraised by Elite Jaguar Derby Before Sale & Over £1000 Spent Attaining Our Standard Including V-Mounts, Rear Pads & Shock Bushes, Then Pronounced Fit & Healthy, Lady Owner Who Cherished This Car For The Last Three Years..
…PRICES ONLY GOING UP ESPECIALLY CONVERTIBLE..WILL NEVER BE THIS INEXPENSIVE AGAIN..BETTER THAN MONEY IN THE BANK AND MORE FUN!.. …CALL DAVE HOOPER..EASY TO FIND NEXT TO A50 CLOSE TO M1 J24/25..PICK UP FROM EAST MIDLANDS AIRPORT..RAIL STATIONS DERBY, LONG EATON & EAST MIDLANDS PARKWAY..